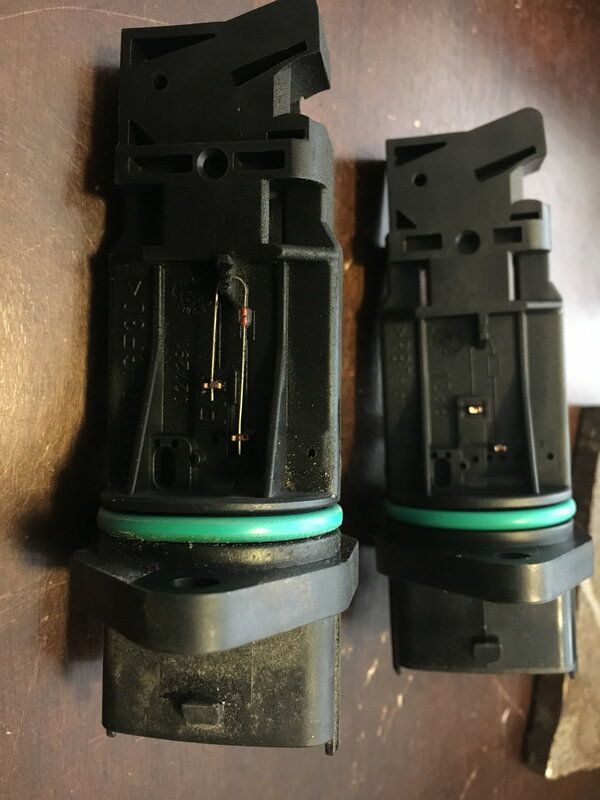 I referenced and cross referenced the part numbers before I ordered, as I noticed a single digit different between the part number of the factory maf sensor and the one currently installed. I probably should have just ordered the one that matched the one in my vehicle, but I thought I could correct something a previous owner had done wrong. The replacement that matches the factory part number, is larger diameter housing than the one in mine. Without replacing the entire intake and airbox assembly, I’m inclined to reuse the existing maf housing and install the new sensor. The part numbers match. The only apparent difference is a resistor installed on the existing sensor that isn’t present on the new one. (I’ll attach a photo, and hopefully it’s visible). Can anyone explain what the purpose of this resistor is, and tell me if I should install it on the new sensor? Thanks in advance. all I can say, I did one on a 2001 xc70, I just replaced the whole unit, did not pull out like the pic shown, got it at orielys for like 200bucks. I would just put it in and see what happens .